I went out for a run this morning. 5 miles, 39 minutes on the nose. 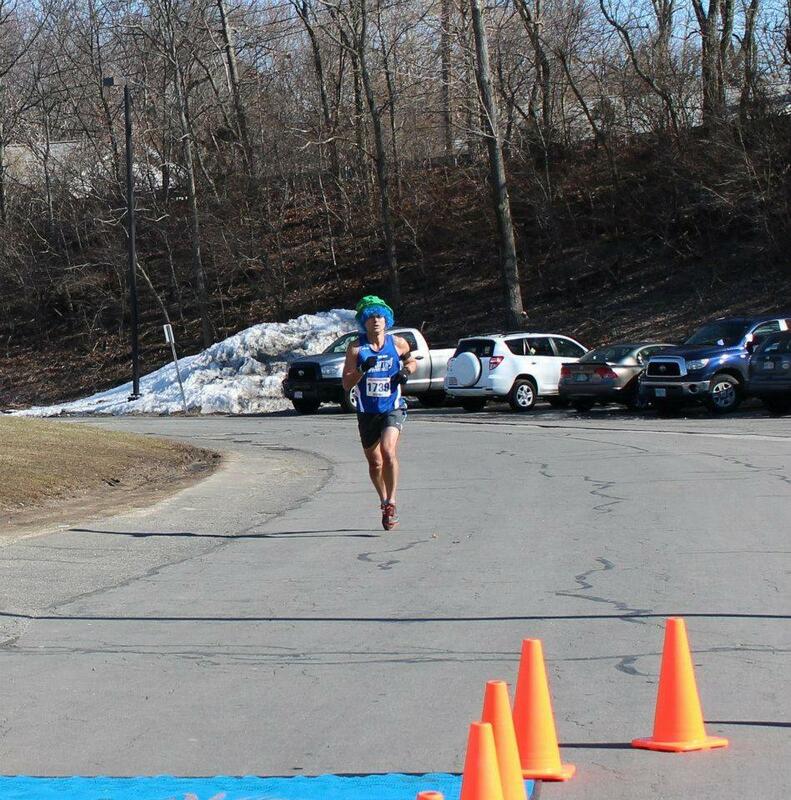 I went out with no particular plan, but I eventually found myself at the local high school track. While there, for no apparent reason, I decided to do a couple of Fartleks at 5 minutes a piece, averaging at about a 6:20 pace. The run itself really is nothing to write about; it is rather how my run started that has me sad. For over the past year I have been using the Charity Miles App for almost every run I do outside. It is ingrained into my routine – step outside, put in earbuds, start my playlist, start the Charity Miles App, swipe to the Autism Speaks page, hit go, run. For almost every single run over the past year and a half, this has been my routine, whether it be a training run, a fun run or a race. The same thing, over and over. I thought of Suzanne Wright’s call to action. I stared at my screen. I thought of Suzanne broadly painting every family with autism as lost. I thought of Suzanne making it clear that their focus was on children only. My thumb hovered over the start button…wavering just so. I thought of the countless autistic adults who are being left behind by Suzanne Wright’s call to action. I sighed and looked away, hanging my head. I thought of the fact that Brooke is only a handful of years away from being an adult. Sadness overcame me as I realized I just couldn’t bring myself to pressing start. I swiped through the other very worthy charities that Charity Miles has teamed up with. I finally settled on Achilles International, an inspiring group that helps disabled athletes compete in events like the New York City Marathon. Although I did not cry outwardly, I was doing so on the inside. 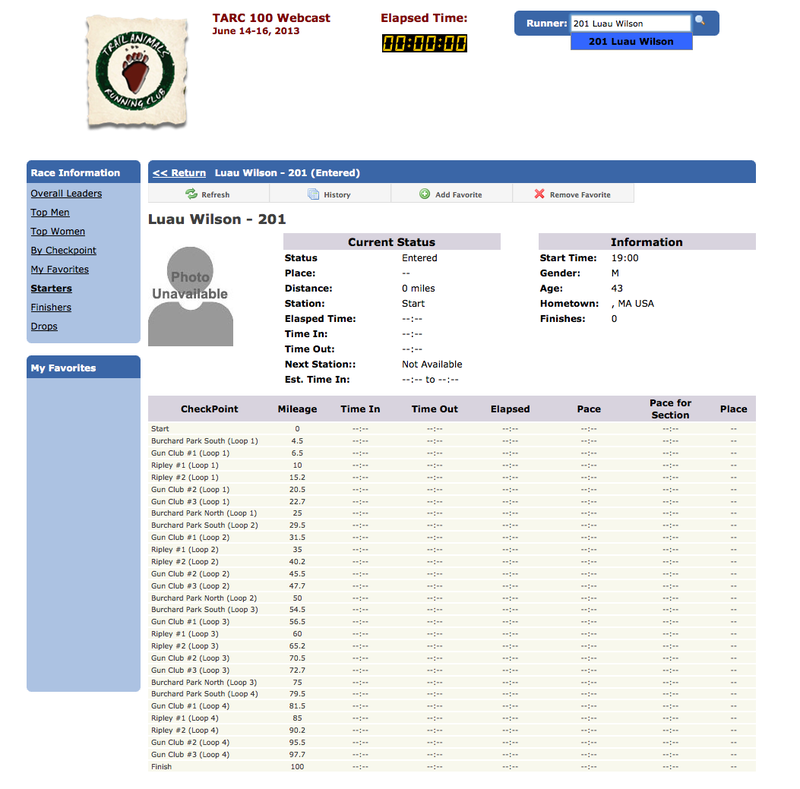 Some of you have asked if it is possible to follow my progress during the TARC 100 this weekend. I didn’t think so and had planned on tweeting my progress live (@luau), but it turns out that yes, yes you can. from there you can follow along as I attempt to cover 100 miles in less than 30 hours. Keep in mind that the first 50 miles or so will be run through the night…perfect for you night owls and insomniacs. Another thing to keep in mind is that we won’t be running quickly. Although my peak marathon pace is in the mid- to low-7’s, JB, UltraDoug and I are planning on running the TARC no faster than 12 minutes per mile…and even THAT will be considered fast considering the distance. This will bring you to my fund raising page for Boston 13.1 which takes place September 15. I would love to have your donations for that race, but I would be even MORE excited if you joined me. One day to go! So excited! Just have to fight off whatever this sore throat/headache-y thing Katie and I have going on these last few days. I will still tweet from the race, but now that there is a live progress feed, I will probably do less to conserve battery power. 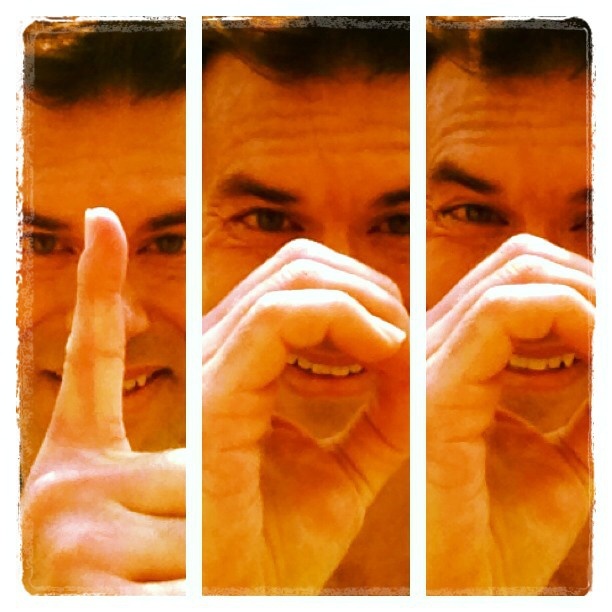 Today marked the 100th day of 2013 as well as the 100th day of #AutismStreaks. I have managed to run at least 1 mile every calendar day since January 1st. My total in those 100 days? 567 miles. It’s not a mind-blowing amount, but it is a pretty decent chunk of change. To be honest, early on I wasn’t sure I would make it to 500 miles, much less 100 days. When I completed my run today there was no finish line, there was no medal, there were no cheering crowds – just the knowledge that, along with raising a little money for Autism Speaks, I hopefully managed to spread some awareness and maybe, just maybe, inspire a few people to do their own charity running as well (be it for Autism Speaks or one of the many other charities connected to Charity Miles). 100 days, 100 runs, 567 miles…what now? Week 14 brought World Autism Awareness Day on April 2nd. 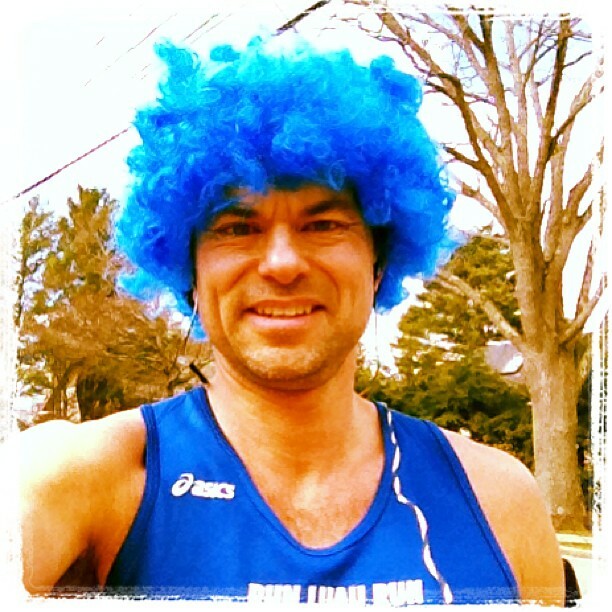 On that day the world lit it up blue in support of autism awareness, so I donned the blue ‘fro and ran through town. It was a relatively light week of running…well except for and because of Sunday’s 31-miler – the second longest I have ever covered on foot in a day. Week 13 is in the books – it felt like a very productive week of running, highlighted in part by the news that Mophie would be powering my Charity Miles for Autism Speaks come June – #synergy! Saturday’s run also brought me to 500 miles for the year – not bad for a guy who had hardly run during the fourth quarter of last year. I hope you got your runs in! 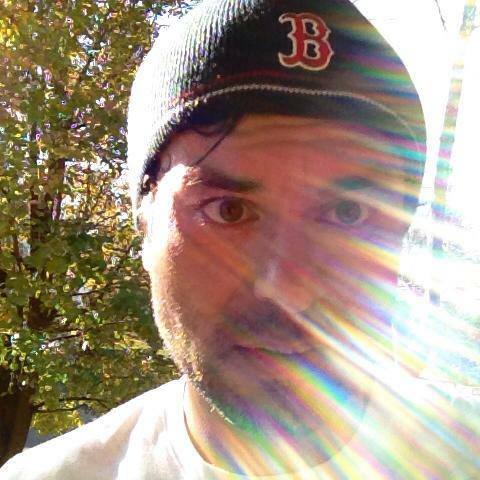 …after 18 miles last Friday morning…the following morning I would hit 500 miles YTD just before sunrise. It’s hard to believe that #AutismStreaks is already 12 weeks old – 84 straight days of running! 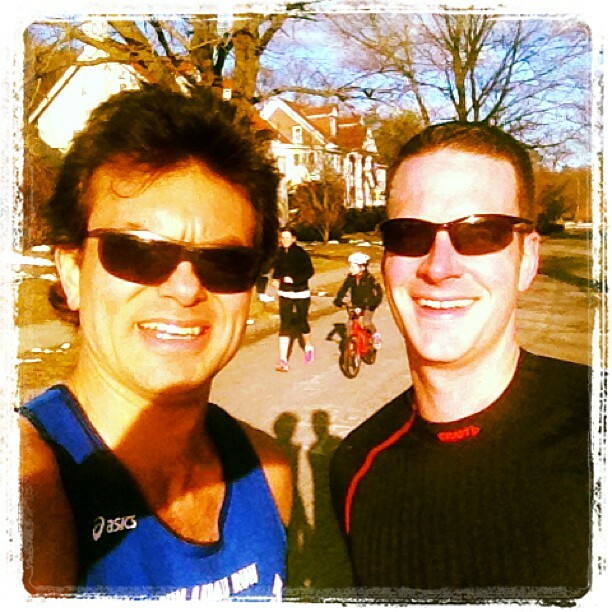 A busy couple of weeks highlighted by a fun 5K on St. Patty’s Day and an easy 16-miler with my buddy JB this past Sunday. I don’t think we stopped talking the entire 16 miles. Hope it’s been a good couple of weeks for you and that those who are running Boston this year aren’t going too crazy with their tapers. Me & JB after 16 miles where we didn’t stop yapping for a minute. But as I worked to keep my sense of excitement, joy and accomplishment inside, another thought popped into my head. Don’t get me wrong. I was super excited. 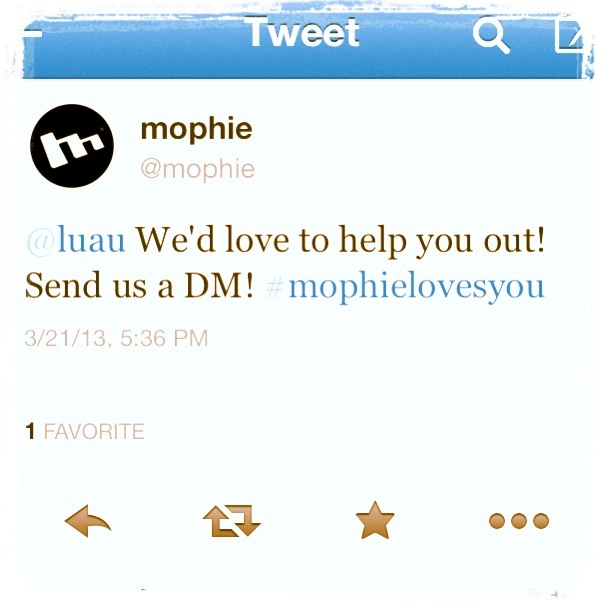 I am STILL, over 12 hours later, giddy over the news that yesterday’s post not only reached the fantastic people at Mophie, but that those fantastic people are sending me two, TWO, of their Juice Pack Pluses. Me: I am sitting in my daughter’s gymnastics class lobby and I just yelped! Me:…I cannot tell you how thankful I am! There’s no turning back now. There’s no deciding in May you know, my training hasn’t been what I wanted so I’m gonna do something else. There’s no bailing. Now my name is on the line. 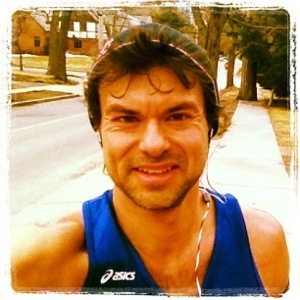 On June 14th I’m running 100 miles or running for 30 hours, whichever comes first! If I don’t follow through, then why would anyone even think about supporting me in whatever it is I decide to do the next time. So there you have it. Be careful what you ask for, because sometimes, just sometimes you get it…and when you do, you have got to follow through with your end of the request. On what I feel is a pretty cool result of this whole thing is that many of you didn’t even know what Mophie was or what Mophie made. Many fellow autism parents, who often rely on their iPhones to help their children wait in lines or transition from one part of the day to another sent texts or left messages that said they were extremely excited to discover that this product existed – in the end, I feel like this was a win-win-win situation for everyone. Thank you Mophie for helping me in my endeavor – on race day there will be a sharpie tattoo on my shoulders that reads “Powered By Mophie”. I know that the folks at Charity Miles and at Autism Speaks will truly appreciate the fact that I will be able to run the Charity Miles App for 100 straight miles, and I truly appreciate the fact that you are helping me make a better tomorrow for my Brooke.